Compile Heart, Dengeki Bunko, and Dengeki PlayStation have announced that they are all collaborating on a brand IP entitled Kangokuto Mary Skelter! The new “active dungeon RPG” title planned for the PS Vita is only the tip of the iceberg as a novel published by Dengeki Bunko is already planned along with Dengeki PlayStation’s promise to develop a serialized prequel. Kangokuto Mary Skelter is set in a universe where 1999’s Japan is home to cities such as ‘Jail,’ a living prison that was birthed and then subsequently swallowed by the earth and buried 666 meters below ground. As a result of this cataclysmic event hostile monsters known a ‘Marchen’ began to appear, threatening the safety of humans. 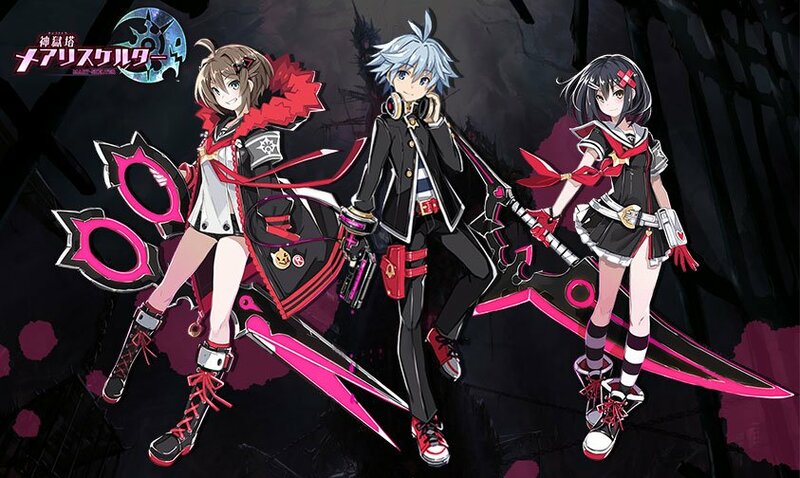 Kangokuto Mary Skelter follows male protagonist Jack and heroines several decades after this massive event as they aim to escape their prison-home. The girls’ unique reaction to the Marchen’s blood provides them with increased physical abilities that will allow them a chance at freedom. The primary condition for players to escape is to grow the living Jail 666 meters, raising it from the depths below. The structure possess three great desires by which it grows: appetite, sexual desire, and the desire for sleep. All Pre-orders include an exclusive “Sakura Shrine Maiden” all-character bundle. Limited Edition includes a special-illustrated box, drama CD, and special book. “PSVita: Escape from Jail”, how ironic.